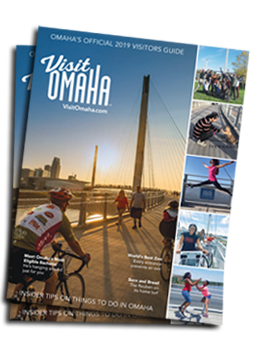 Creativity lives and breathes in Omaha and that's evident in the distinctive artwork found in local museums and galleries across the city. Joslyn Art Museum is a pink marble masterpiece filled with more than 11,000 works of art from artists such as Monet, Renoir and Pollock. Ever-changing visual art is at the cornerstone of The Bemis Center for Contemporary Art, where modern art creates a unique urban vibe. In addition to the beautiful array of traditional Omaha galleries, Hot Shops Art Center offers hands-on experience, where you can talk directly with the artists, watch as they create their one-of-a-kind works of art, even sit next to them to craft your own. If you&apos;re shopping for a unique piece of art you&apos;ll find Omaha galleries that are filled with limited edition photography, original paintings, hand-crafted sculptures, jewelry, ceramics and more.